"Carolyn Hart is one of the most popular practitioners of the traditional mystery." 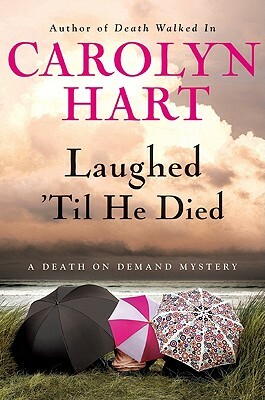 Return to Broward's Rock in Laughed 'Til He Died, Carolyn Hart's landmark 20th novel in her much loved and critically acclaimed Death on Demand mystery series. Island sleuths Annie and Max Darling must solve three related local murders in this wonderful new whodunit by the multiple Agatha, Anthony, and Macavity Award-winner--a must for fans of Diane Mott Davidson and Lillian Jackson Braun.